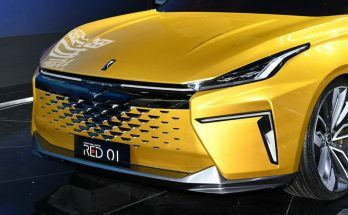 Some say, Chinese cars designs are getting better and better each passing day and in some cases, they even outshine the modern Japanese designs. 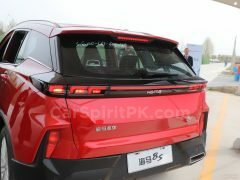 One such example is the FAW Haima 8S SUV which was recently unveiled by the company and will soon go on sale in Chinese market. 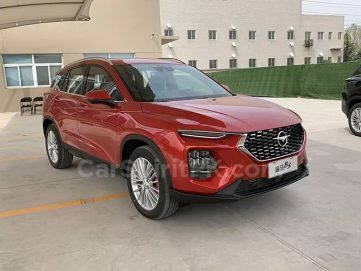 Haima is a small automaker based in Hainan island off the south coast of China. 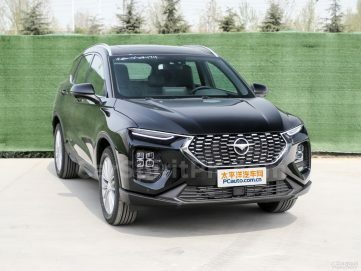 The name ‘Haima’ is basically a combination of the two words– Hainan (where Haima is based) and Mazda, so you get Haima. 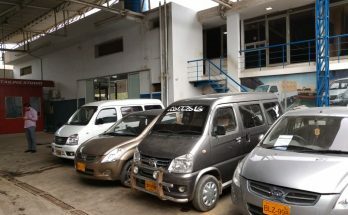 In the days of old Hainan Auto works and Mazda had a joint venture together where Hainan Autos would produce Mazda cars. 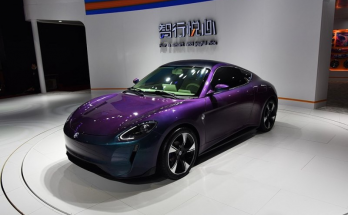 Then the mega giant Chinese car producer FAW came along and bought Hainan Auto Works, thus the FAW-Mazda joint venture was born, and became very successful too. 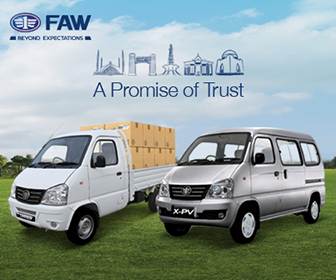 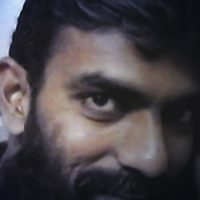 Today Haima is a subsidiary of FAW and is known as FAW Haima Automobile Company Limited. 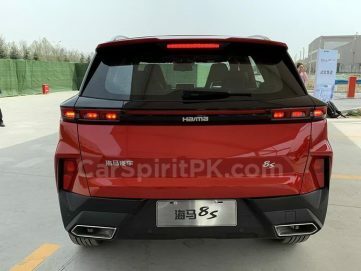 The 8S is positioned as a flagship SUV in Haima lineup and is based on a new modular platform called as HMGA (Haima Global Architecture). 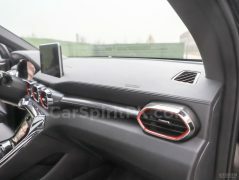 It measures 4,565/1,850/1,682mm and has a wheelbase of 2,700mm. 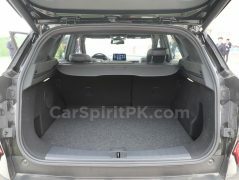 Dimension wise it is larger than Kia Sportage and smaller than the Toyota Fortuner. 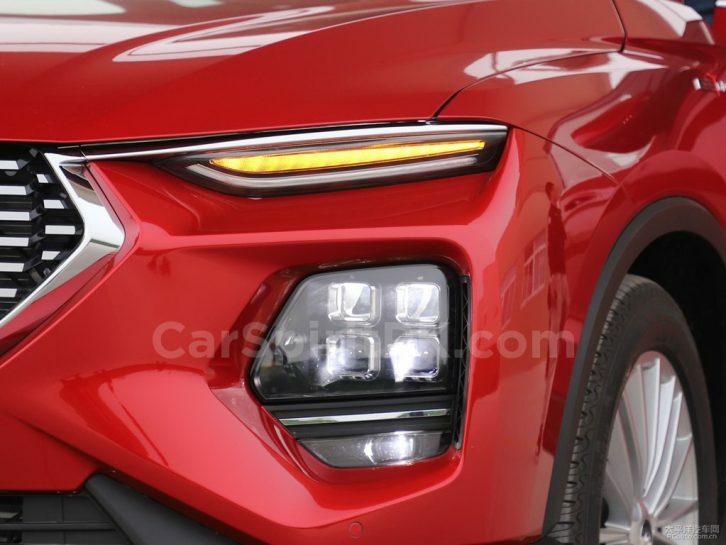 It features a very bold and attractive design. 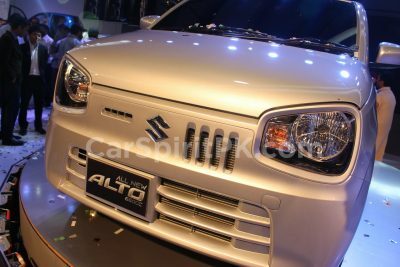 Up front there is a hexagonal mesh grille and composite headlamps on bumpers with separate slim LED DRLs positioned on top. 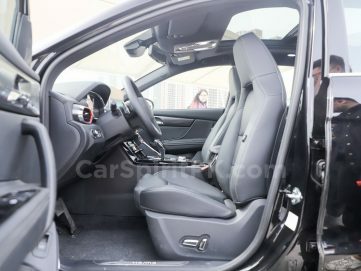 There are black wheel arches, and black skid plates all around the lower section of the body. 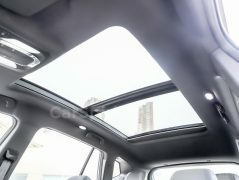 At the sides there are dynamic creases and a floating roof design which adds to the sportiness of the vehicle. 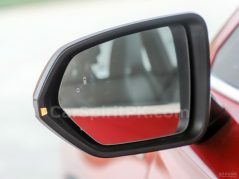 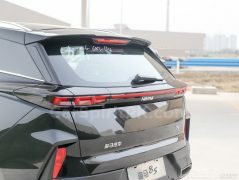 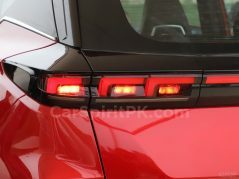 The back features slim LED tail lights on either side that are connected all the way to each other. 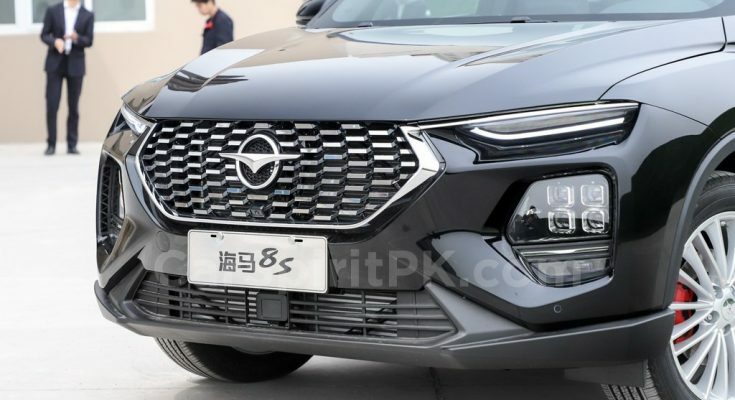 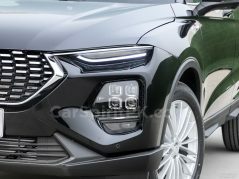 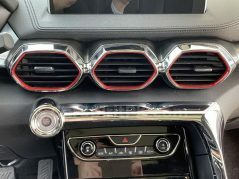 The bumper extrusions feature fog lamps while the black lower section of the bumper gets the license plate holder as well as the dual chrome plated polygonal exhausts. 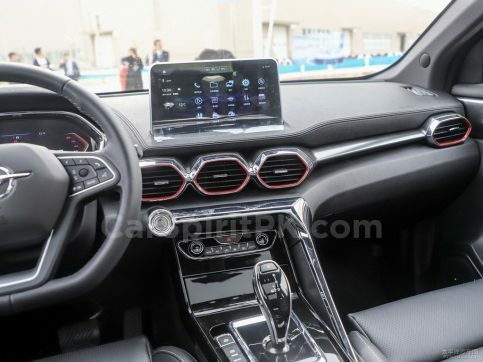 The interior is quite impressive too, with floating center multimedia unit, 5 hexagonal air-conditioning ducts, three of which are placed at the center. 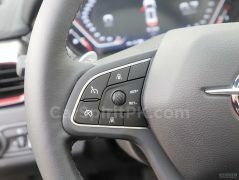 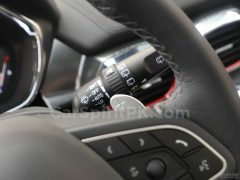 There is a flat-bottomed multi-function steering wheel and a good use of grey, chrome with fine touches of red. 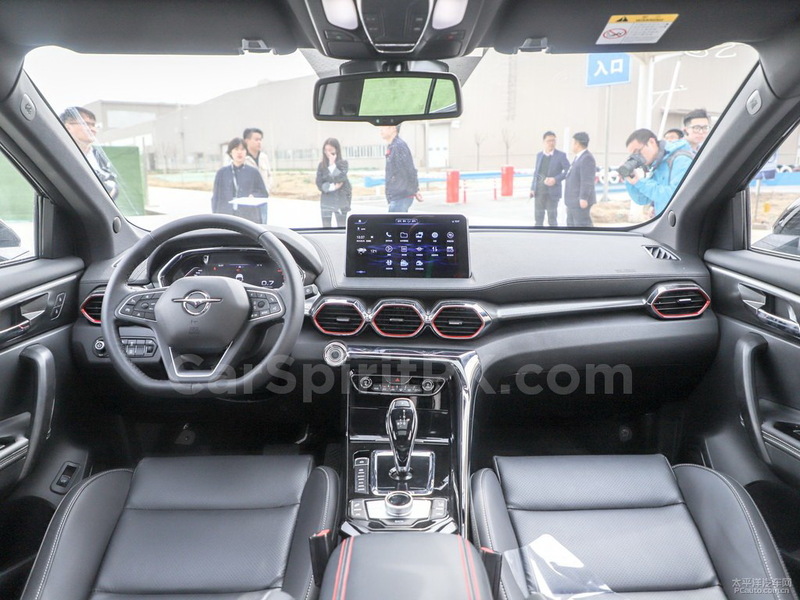 The Haima 8S is rich in configuration, as it comes equipped with the ADAS active safety system with 360 camera assist, TPMS, ESP, panoramic sunroof, push-button start, electronic gear shifting with steering mounted paddle shifters, ACC adaptive cruise, AEB, optional mobile phone wireless charging, electronically adjustable seats, power rear tailgate and much more. 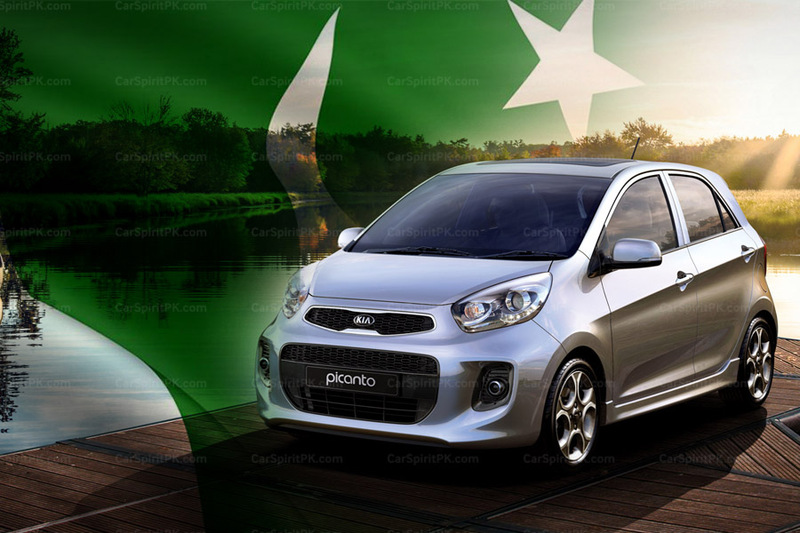 In terms of power, the 8S has a Haima’s self-developed 1.6 liter TGDI turbo engine that churns out 195 hp and 293 Nm. 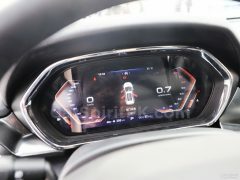 The 0-100km/h figures are under 8 seconds as claimed. 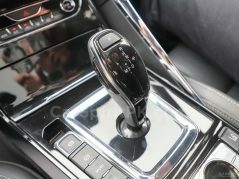 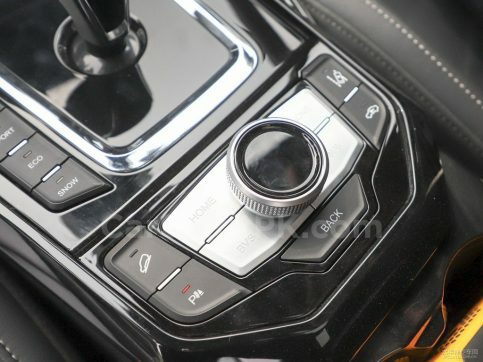 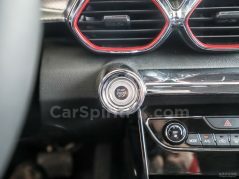 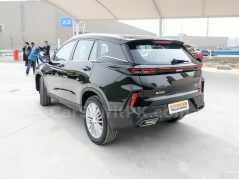 Available transmission options are 6-speed MT, 6-speed AT and 7-speed DCT while reportedly in future the company will launch 1.2T hybrid & mild hybrid versions as well.